There is no such thing as a standard business practice. 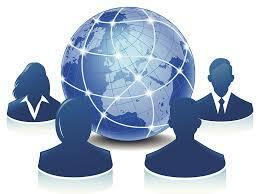 Thus, we design the right structure and negotiate the right deal based on your business need. We also advise on the full range of corporate, mergers and acquisitions, and commercial matters. Everyone needs a lawyer at some time in their lives. When the time comes, we are there to assist you to solve your legal need without fuss and at a reasonable cost. Whatever your legal need, we will provide you with the very best advice whilst putting you at the centre of that process. It is part of our long-term growth strategy to position Lee Sok Wah & Co. as the preferred legal advisor in cross-border deals involving China and Malaysia. Our China Desk provides the full range of legal services required by the growing needs of our clients based in Malaysia and China. Wisma Mirama, Jalan Wisma Putra, 50460 Kuala Lumpur.